Manresa – (Los Gatos, CA) – one of a small handful of Michelin 3-star restaurants, Manresa is often written up as THE top restaurant in the Bay Area. Entrepreneur Wines works with Manresa’s Director of Wine, Jim Rollston, who was recently written up for becoming one of only 256 “Master” Sommeliers in the world. Madera @ The Rosewood Hotel (Menlo Park, CA) – a top restaurant located in the heart of Silicon Valley’s “Sand Hill Road” district – known for its concentration of venture capital firms. Forbes Mill Steak House (Las Gatos, CA) – this steak house is known for having one of the best wine lists in the Bay Area. The Plumed Horse (Saratoga, CA) – known as one of the top restaurants in the Bay Area, this restaurant was featured in August 2017 in the cover article in The Wine Enthusiast magazine, as #25 on the magazine’s list of Top 100 Wine Restaurants in the US. 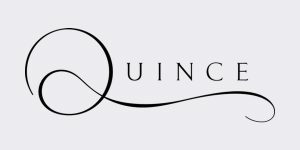 Quince (San Francisco, CA) – designated as a 3-star Michelin restaurant, Quince holds the reputation in SF as one of the most artistic restaurants and has assembled one of the most highly regarded wine lists in the city of San Francisco. Le Papillon (Saratoga, CA) – a “gem” of the South Bay, Le Papillon has been recognized as one of the top 10 restaurants in the Bay Area and boasts a world-class list of wines. 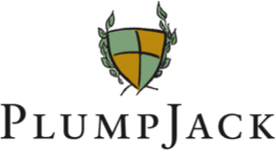 Plump Jack (Squaw Valley, Lake Tahoe, CA) – beginning in Spring of 2019, we will be part of Plump Jack’s Reserve Cabernet list at this highly successful Inn and restaurant, tucked at the base of the Sierra Nevada Mountains. Congratulations to THE PLUMED HORSE – featured in The Wine Enthusiast in its August 2017 cover story on “America’s Top 100 Wine Restaurants“!